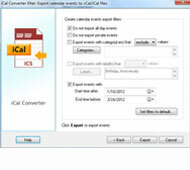 Select Calendar folder or single event and click “Export event” or “Import event”. 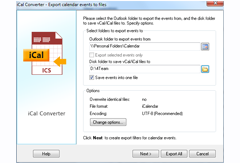 Export calendar events to files. Specify options if needed. 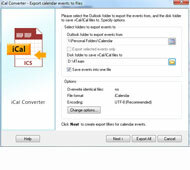 Select folder or files to be imported and the Outlook folder to save the events to. 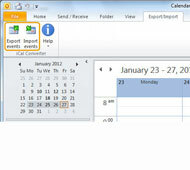 Create filters by all day events, private events, category, labels and period. 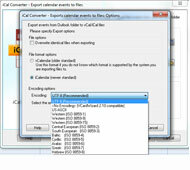 Select the encoding if the items contain non-English characters.